Karishma M. is the Founder of Inner Freedom. An MBA Grad and a certified Clinical Hypnotherapist (California Hypnosis Institute, USA), Karishma is equipped with Advanced Hypnotic Modalities to help you alleviate from traumatic memories and experiences. She designs personalized therapy plans using Akashic records, Past Life Therapy and Age Regression to help people re-write their life script. 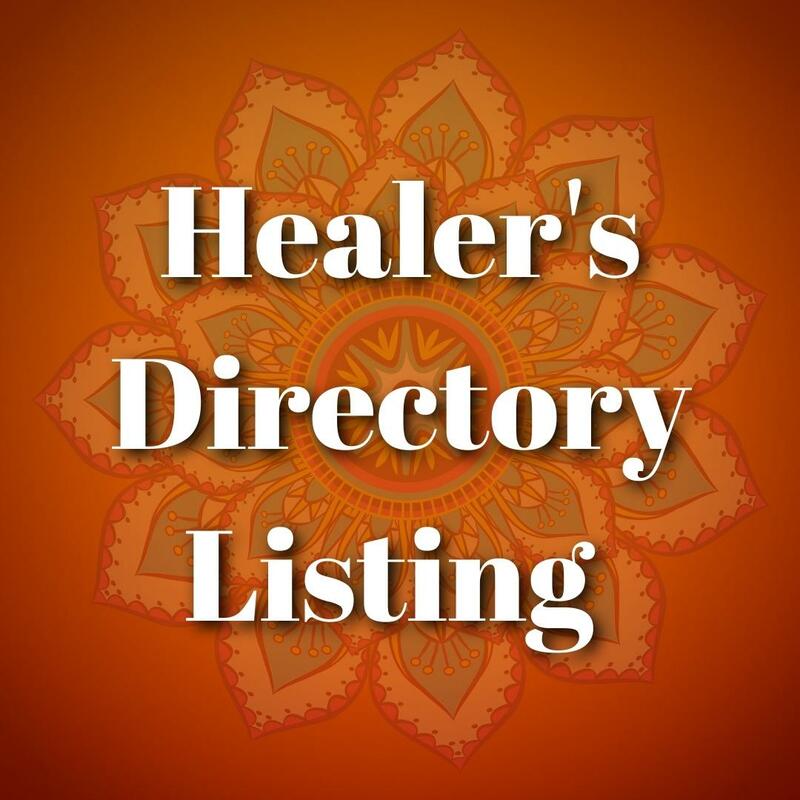 Karishma is also well versed with concepts of Energy Medicine, Theta Healing, Serenity Surrender and Reiki. Her zest to understand more on the Theory of Karma has led her to explore deeper concepts of Life Between Lives. Understanding how a traumatic prenatal and birth experience can leave a lasting scar on the child, she is determined to educate the women of today on the power of Birth Matrix Imprinting. 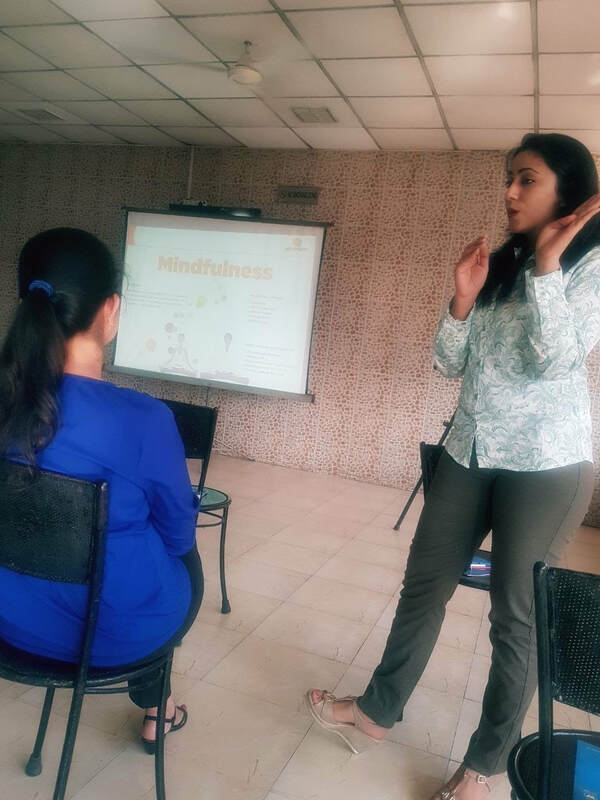 Apart from her workshops, she also conducts Personal Sessions for Akashic Records Reading Healing, regular Meetups and facilitates seminars at various corporates in Delhi/NCR on wellbeing. During her initial period of struggle with life, she visited several trained and certified therapists. Having not be understood and judged most of the times, she came across the concept of self-healing. After witnessing the dramatic shift in her own life, Karishma is thrilled with the concept of Healing with Akashic Records. Today, her passion to help people heal themselves led her to develop Inner Freedom Techniques - a set of self-empowerment tools, capable of inducing healing at all levels of existence, across time and space. She has developed advanced modules capable of brining a lasting healing such as Releasing Karmic Relationships, Manifesting Abundance, Easing Diseases and Disorders, Balancing Yin & Yang Within, Conscious Parenting, Letting go of Fears & Phobia, Releasing Ancestral Karma etc. Workshops offered by Karishma M.
Healing with Akashic Records is a course that acts a prerequisite for nearly all other courses at Inner Freedom. The heart of this class is the practice of techniques that allow you to change life patterns held deep within our subconscious mind, either self-inflicted or externally imposed. You will discover how to identify your limiting beliefs and resolve them to positive and empowering ones. Instantly changing years of self-sabotage, bad habits and negative life patterns. This course will open your intuitive centers and chakras, as you connect to Divine Source Energy for readings and healings. We’ll guide you in deep theta meditation to silence your mind and access your subconscious mind.cal heal and deep emotional cleansing. Taking a step further, Inner Freedom Beacons enhance their learning with this advance workshop on Healing with Akashic Records. iEvolve workshop focuses on understanding the importance and need of 'Completion' to move forward in life. Using concepts of advanced hypnotherapy, participants are supported through a variety of healing modalities such as progressive relaxation, past life regression, age regression, hypno-drama, future progression and guided imagery. This workshop brings forth a profound shift in energies due to intense clearing of negative thought patterns registered in the subconscious mind. The cellular memory is re-written once the lessons are learnt, thus releasing the emotional charge associated with the presenting issue. Such a healing occurs at all levels of existence- physical, emotional, mental and spiritual, across time and space. The current plane of existence thrives on the concept of duality. This workshop brings a deeper understanding of the duality of gender we are experiencing and understanding ourselves through it. This intense workshop will bring to you a newer perspective of identifying others as 'self' and accelerate your journey to be more whole. All of us are created for relationship, but too often past hurt and wrong beliefs about ourselves trap us in destructive cycles that destroy our friendships, family connections, romantic relationships and career networks. Maybe you fear commitment, struggle with intimacy or need to control everyone and everything around you. Maybe you find yourself in a pattern of dating the wrong person over and over or hurting those you love the most. This intensive workshop is designed to explore the enriching experience of being a Conscious Parent. Whether we parent our child, siblings, friends, relatives, subordinates at work or even at times our parents, the parenting karma exists in any and all relationships where we take responsibility of nurturing the other. This workshop brings clarity on how and where, in trying to give our loved ones our best, we deviate from the real purpose of parenting. In this process, we therefore end up creating more karma for ourselves, lifetime after lifetime. Much of our tools to parent others are experienced when we were a child ourselves. Our childhood experiences may not always have been positive. Our Inner Child needs healing first, before we can truly nurture and parent others. It is the choice of our Soul to experience various situations and circumstances through the contracts we made with others even before coming into this life, and it is through these choices and contracts that we experience the evolution of our Soul. Each step that we take to parent others only brings us closer to our soul plan. It is only if we are aware of the wisdom that these experiences provide us this journey can be made easier and enriching! As children, we are influenced and programmed by those around us, our parents, the society and groups that we belong to, who in turn may be acting from their own karma and that of their ancestors. Our parent's experiences, heritage patterns and ancestral karma if left unhealed can affect our current relationships. Releasing and healing these aspects brings us more into alignment within our authentic self. We can live our life for our self and not just as an extension of an ancestral karmic pattern. There can be patterns repeating through many generations and the Soul can deliberately choose a lifetime and may try to break one or more of these ancestral patterns as a part of his lesson plan. We can take all this karma and programming on as our own, not realising that it is not authentic to us and prevents us from reaching our full potential. We can hold within us a matrix of cords/attachments related our ancestral lineage and wounds of the collective, which can influence our emotional reality. These influences are often unconscious. Unrealistic fears are the unresolved energies stuck in our system from the current life experience. Phobias on the other hand are some intense fears passed into our energetic system from the ​past lives. The root cause of such phobias remains unknown to our conscious and logical mind. While fears are a resultant of unpleasant emotion arising out of a threat of danger, pain or harm, a phobia is an extreme, irrational fear of or aversion to something. Besides the unrealistic fears and phobia, fear operates on us at a very fundamental level, there is always a fear of judgement, a fear of punishment, a fear of being left behind, fear of losing a loved one. Common fears such as fear of flight, darkness, closed space, spiders, clowns, sharp objects, injections, blood spills etc can easily be resolved and healed with this workshop. The relatively new science of epigenetics has demonstrated that our genetic coding is not fixed in stone. The mutable results of our belief system often influence the manifestation of the DNA and is altered by our personal experiences. 95% of our physical ailments stem out of stress operating in our emotional body. In these two days, you will understand how stress affects the physical body, the role of cellular memory, how spiritual and emotional issues suppress the immune system and in turn leads to diseases and illnesses. The workshop will also empower you to heal your mind, body, and soul. Extract pain by its roots with next level healing. Join us for this workshop for the healthiest, happiest and soulful life! Do you often wonder: “What's been holding you back in life and how can you move forward?” The greatest storehouse of infinite knowledge you will ever explore awaits you in your Akashic Record - The Book of Life. You have recorded every step you have taken in every lifetime and the wisdom you’ve amassed is there for you to access now in this New Age. The road of life can be turbulent and full of ups and downs, but the map for the journey you’re meant to take can be found by accessing your Akashic Record or The Book of Life. The Akashic Records, can be equated to the universe's super-computer system. It is this system that acts as the central storehouse of all information for every individual who has ever lived upon the earth. From this particular library of all your records, guided by your questions, the information is channelled from the keepers of your personal record to gain clarity about your life purpose. You will also know how your past lives are affecting you in this lifetime. You will be able to find the answers your soul needs to move forward with certainty. Solutions for difficult situations; can be related to family, love, relationship, health, career, business or money. Information about your soul’s purpose and path. Past life information and clearing that will help to release blocks and fears. An energy shift and Soul Realignment that removes stress from both your mind and body and raises vibrations to follow your higher intent and soul's purpose leading to easy manifestation. Energy clearing and release from Karmic entanglement, Soul Contracts and Past Life Vows. - After the death of my Grandma, I was cloaked in depression. After her death, even a minor issue with my mom would put me in a state of panic. I never realized the cause of the ongoing feeling of helplessness & loneliness and sudden clingy attachment to my mom till I met Karishma. I feel a sense of relief after the cord-cutting session with my Grandma. - Simran.